5. 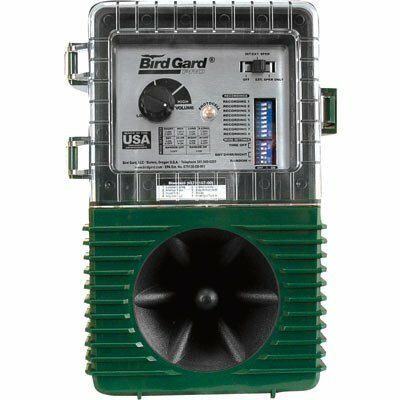 6 Acres Starlings, Robins, Blue Jays, and More Electronic Repeller Keeps Pesky Birds Away! 6. 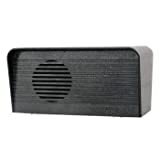 1 1/2 Acres Crows, Ravens, Magpies and More- Electronic Repeller Keeps Pesky Birds Away! 7. 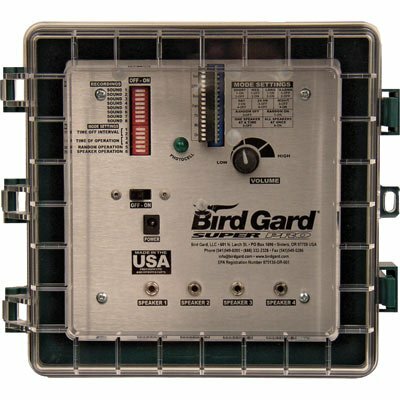 1 1/2 Acres Woodpeckers and House Sparrows Electronic Repeller Keeps Pesky Birds Away! 8. 6 Acres Crows, Ravens, Magpies and More Electronic Repeller Keeps Pesky Birds Away! 9. 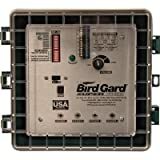 6 acres Marine Birds Electronic Repeller Keeps Pesky Birds Away! 10. 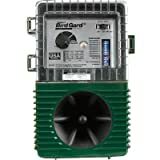 6 Acres Woodpeckers and House Sparrows Electronic Repeller Keeps Pesky Birds Away! 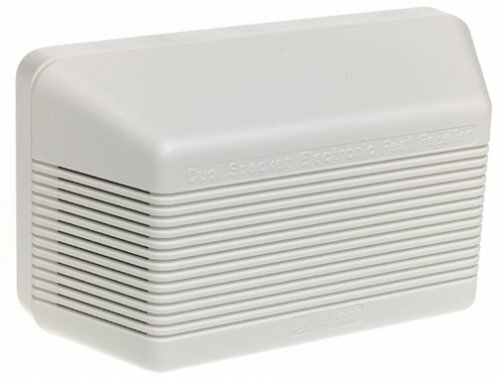 Unit Dimensions: 5 1/4" x 4" x 9"
Deters pests such as fleas to small rodents up to 3500 sq. ft. away! 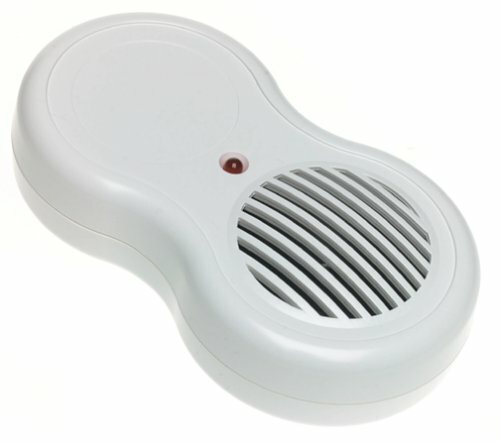 Powerful pest repeller uses both ultrasonic and sonic signals. 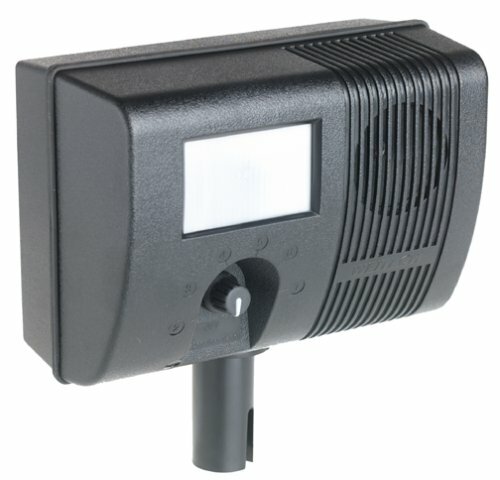 Comes with 120 Volt AC to 12 Volt DC adapter. U.S.A. True to the manufactures claim, this device has greatly reduces dog deposits in that part of my front yard that is covered by the device. As the instructions stated, it did take some time for the dogs to be trained (Pavlovs dog)but I am ready to buy two more, one for the rest of the front yard and two for the backyard racoons. I have tried every humane way to deter cats from using my backyard as a litter box. After numerous plants, sprays, and advice that failed, I purchased the weitech yard and garden protector and my backyard is free. I am a cat lover, in fact I have two cats of my own, but there are too many ferril cats in the neighborhood. I will be purchasing two more prottectors in order to cover more area. The sound it makes is audible to humans, but the effect of the machine far outways any sound it makes. I was skeptical, to say the least that any of these types of electronic gizmos would work. I must say I was pleasently surprised! We have a neighbor with 8 cats that constantly visited our backyard garden and made it into a big kitty litter pan. I bought 3 of the Protectors and since we started to use them, we've had NO cats around at all. I highly recommend using this system! based on other reviews here and other sites, this seems to be the brand/model to buy. I did some checking and discovered that this device is ineffective for birds and squirrels. It is most effective on animals that require high frequency and sensitive hearing to hunt and locate it's meals. I hope this works as I've lost a great deal of Koi over the last couple of weeks. I will follow up with results once I get it. Too bad it takes 1 to 2 weeks to get this in. I could use it tonight. I bought one for a small townhouse. The main floor is about 500 sqft. The mouse (which used to come nightly) never returned after I plugged it in. I purposely left out food to lure it one night and it didnt show up. Great product. I did have one minor problem. The original location was next to a metal a/c return grid. We could hear a harmonic noise. Moving to an outlet across the room fixed that. I would recommend this product to friends. 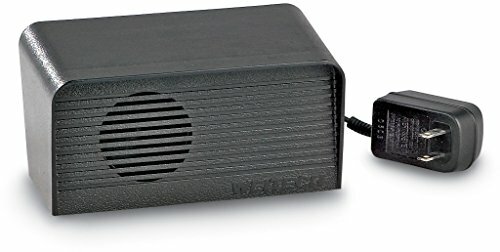 I got rid of mice for under $20 without poison or traps. I didnt have to worry about dead mice in the walls. I was extremely disappointed in this product. We bought a couple of these in hopes of solving our insect problems. We had ants coming in through an outlet in the kitchen and brown recluse spiders coming down from our attic. I put one in the kitchen outlet, and the ants just kept coming in! They were even crawling on it! I put the other one in the hallway, and still I found couple of spiders in the bedrooms. Don't waste your money on this and other like products to get rid of insects. We ended up hiring an exterminator. We bought a trio of these Weitech 180-B units shortly after a minor rat-infestation had been cleaned out of our garage, hoping that this would prevent such a problem (lately common in our neighborhood) from occurring again, as well as drive away the scattering of spiders, ants, and other bugs that seemed to favor the nooks and crannies of our garage. 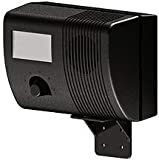 We plugged two of these in opposite corners of the garage, and one in the nearby kitchen. In the several months since then, I don't think I've seen a single rodent, insect, or arachnid anywhere in or near our garage or kitchen. Further, our dog doesn't seem at all bothered by them (although he does think they make great chew-toys, so we have to be careful where we place them). I plan on getting a few more of these to scatter around the rest of the house. 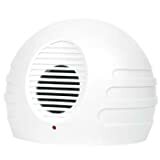 Do note that, from the various reviews on these types of devices, it may be that the efficacy of any ultrasonic pest repeller can vary depending on location or other factors. (Some units purportedly work great for some users and terribly for others, etc.) But the Weitech 180-B seems to work very well in my house, and it would be the first such device I'd try in any new location. I had three of these units placed throughout a 600 square foot apartment (ground floor). Unfortunately, I had to squish a spider, silverfish, or unidentified bug almost every other day (in the summer). Sometimes, I fould find a bug just hanging out directly under the pest repeller! I did not notice a decrease in bugs at all. I can't say if this product repels mice or not. I never saw a mouse in my apartment before or after I started using the repellers. Get rid of the poison! These devices work amazingly well! This model constantly cycles between high and low frequency sound waves. Low gets rid of mice and rats -- high gets rid of insects and spiders. 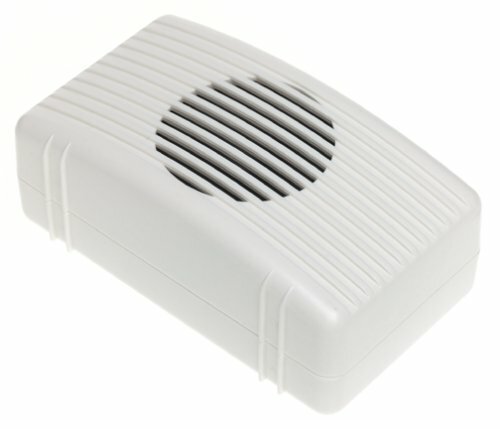 You plug it into the wall like a night light or a room deodorizer. It is about the size of a deck of cards. It is white and unobtrusive. 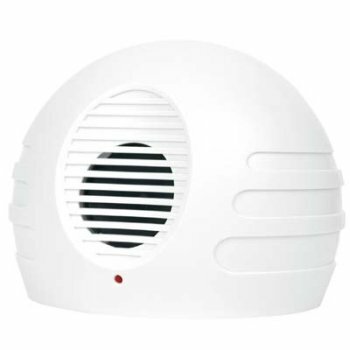 The ultrasonic sound does not go through walls -- so use several in different rooms. Move them around occasionally to really confuse the critters. I keep a Weitech 180 on the sun porch where the cat and dog food bowls live. Another model (Weitech 800) gets moved from room to room. I live in the country, so every mouse family that comes by thinks my house looks like a good one to live in. The ultrasonic sound confuses the hapless rodents. This confusion is an incredible hunting aid for my 17 year old cat, Checkers. Just last fall she caught five mice in two hours. (Unassisted, her previous record was three in one night -- and she was much younger.) Poor unfortunate mice. R.I.P. They are really picking the wrong house move into if they choose mine. Last summer a bat flew in the open patio door (a mouse with wings) -- I didn't stay in the house long enough to see if the bat was confused or not. I climbed out the living room window and went to the neighbors, screaming. It had flown back out by the time we returned so, maybe this device worked against it. I do not know. I saw a snake outside last fall. I do not think these devices work against snakes either. This product I thought was a godsend. However, the mice built up a resistance, it seems, to the sound emmitted. You are able to hear the noise and although it's easy to ignore, it's easy to hear at night. squirrels, bugs, mice. . .you name it! This has been the most effective and easiest method of pest control I've ever used. Just recently, my husband and I got one for his mother, who was having trouble with squirrels getting inside the kitchen ceiling. As soon as she plugged it in, the squirrels disappeared. It's been over a month now, and she hasn't detected any squirrel activity. Really, if you feel poison is inhumane, or hate using traps, this is your best bet--a definite godsend for the critter-squeamish! Do yourself a favour and DO NOT buy this gadget. It might repell mice, but it also repells everything else, including people. The "ultrasonic" sounds are, in reality, a loud screeching noise that is impossible to tolerate or even stay in the same room with. Only the insects seem to love them. Buy an insect repellent, and as for scaring away mice, get yourself a nice cat - and you are sure to do much better than by aquiring this useless trinket! Works great but doesn't cycle between frequencies! A friend that was having a major pest problem. (You know it is true love when you go shopping together for roach motels, yes?) We'd had good luck with the smaller model Weitech 0520 -- but needed more coverage. The critters had moved from the kitchen down a long hall to the bathroom. (brrr!) So I went back and got this model too -- thinking bigger was better! However, where the smaller model constantly cycles between high and low frequencies, this model has a switch. It is set at high or it is set to low. Low gets rid of mice and rats -- high gets rid of insects and spiders. So! 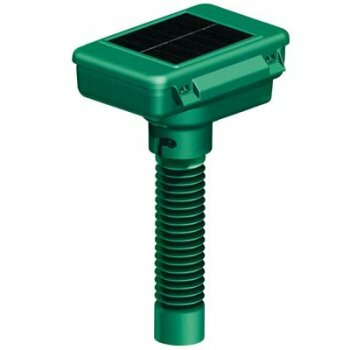 If you have 4, 6 AND 8 legged critter problems, then this is probably not the right device for you -- or maybe you want to buy one and set it to high and buy another and set it to low. It does have the advantage of operating on battery or AC power... so if you have a crawl space or attic without an electrical outlet, then this would be the device to buy. But get one if you have a rodent problem -- plus another if you have a bug problem. They really do work. Amazingly well. My friend moved this one out to the garage where the four footed creatures were getting in the dog food. He then bought two more of the smaller models (Weitech 0520) and moves them around the house. I bought these for my basement and a porch that was closed in many many years ago. My main purpose was for repelling mice. So far so good! My only dislike about the product is, it has 2 settings one for creepy insects and bugs, while the other is for long tailed four legged critters. It would be nice if one setting would work for all. As for the noise, you do have the option of silent or audible. I prefer the audible. If it annoys me then I know it's annoying the mice too! Thus far it has done a good job of keeping them out. 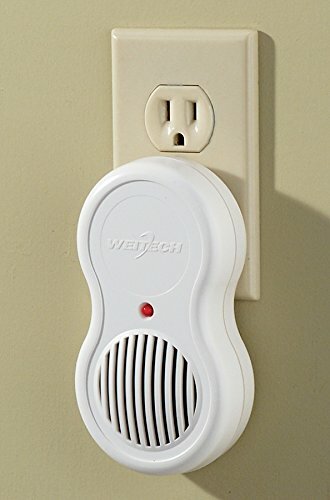 I bought the Weitech 1500 Pest Repeller hoping to get rid of a pesky mouse but 3 weeks later, it's still running around! The worse part of the product is the irritating clicking noise it makes, just imagine hearing your alarm clock all day, just not as loud. It's driving me crazy! I don't know what's worse the steady annoying clicking noise or knowing that the mouse is still here. I'm still hoping that it'll work because i can't imagine actually killing the mouse and trying to throw it out. We were having a problem with brown recluse spiders in our home. This pest controller eliminated most of them. When one first uses it, it will actually make pests more active because it disrupts their normal cycles. After about 4-6 weeks, the number of pests one sees will be greatly reduced. 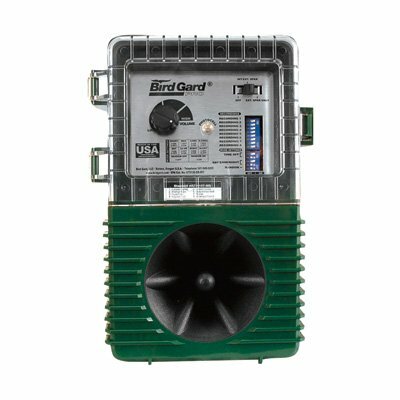 Sound frequencies don't travel through walls, so this unit should be placed in a more open area. Smaller units are available for smaller places. We have this unit and 2 of the 1000 square feet units. I'm buying one more for our garage--that's how satisfied we are with the product. Bought a house with a significant mice and rat problem throught. Have installed several of these Weitech 3000 pest repellers and the pests have all gone.